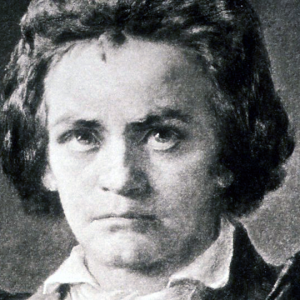 Ludwig van Beethoven was born at 03:40 am on December 16th, 1770 in Bonn. His horoscope has the Sun, Moon and Mercury in Sagittarius. Jupiter, ruler of Sagittarius, is accentuated by conjunction with the Sun. This is apt considering that Beethoven developed the music of the Classical era so far beyond its existing parameters that many persons at the time could not comprehend what he was doing. Born at the dark of the Moon, Beethoven was strongly influenced by the revolutionary movement in Europe. The position of Uranus in Taurus directly opposite his Scorpio Ascendant is descriptive of his love for ancient traditions combined with magnetic compulsion towards individual freedom and liberty. Beethoven openly despised the rigid class system of the time. Friends and patrons alike found him unconventional, uncompromising and ‘difficult’. The unaspected Venus in Capricorn in the 3rd house of the chart indicates that Beethoven had an inclination towards falling in love with women that he taught the piano to. Women of ‘noble breeding’ were expected to play a little music as an ‘accomplishment’, so their husbands would not be bored by their company. 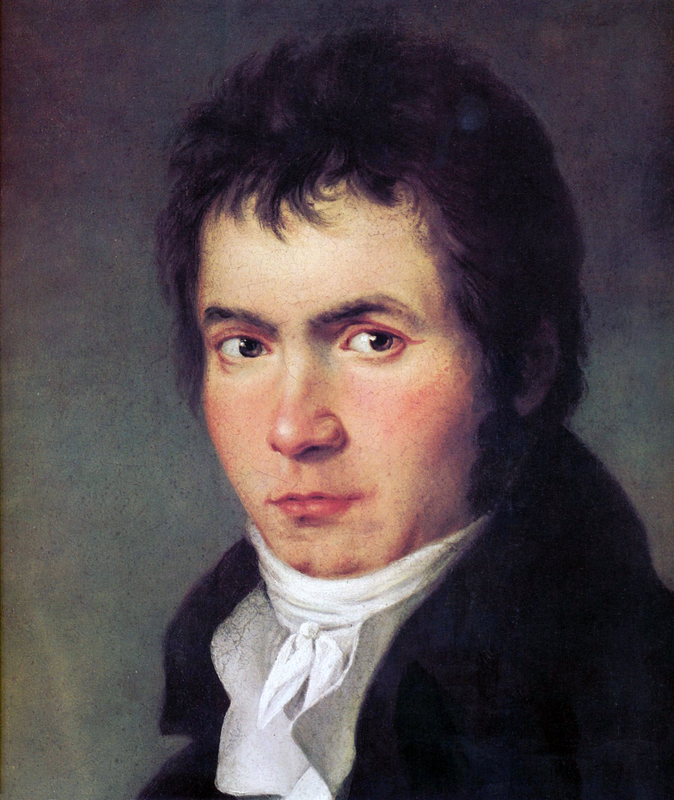 While exalting the women to the heights (Saturn at Midheaven), Beethoven would remain isolated in the relationship for one reason or another, and so unable to form what was in those days called ‘an attachment’ with the object of his desire. Mars is the Lord of the Horoscope, as ruler of the Scorpio Ascendant. Mars, from his location in the 8th house, sends three formidable opposing rays against the Sun, Moon and Mercury in the 2nd house. As the 2nd house generally governs the physical body, it is impossible not to think of the crippling deafness that brought the maestro to the brink of suicide. Survival of that period was accomplished by a heroic effort of will. Only love of God, and the gift of music—that there was so much more music he had yet to give to the world—saved Beethoven from self-annihilation. A further notable configuration in the natal horoscope is the Grand Trine formed between Neptune, Uranus and Pluto in the earth triplicity. The slow-moving outer planets are traditionally regarded as ‘impersonal’ factors in a horoscope, marking the character and experience of an entire generation. There are various placements, however, that can indicate the potentially subversive intrusion of supersensory phenomena. Scientific orthodoxy will not accept the ‘supersensible’. 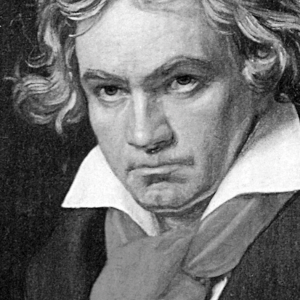 Nonetheless thousands, perhaps millions of persons have experienced something that is only expressed in terms of spiritual philosophy, for example, ‘transfiguration’, when listening to the music of Ludwig van Beethoven. ‘Maestoso’ is a musical term, meaning, ‘majestic, dignified’, usually quite slow in tempo. To Beethoven, the key of D-flat major, with many black notes if played on the piano, would have epitomised a mood of depression or despair. 1. A musician, even a composer and performer of exceptional ability, was no different from a merchant in the social order. A woman of the nobility, or otherwise of high standing, could not enter into a liaison with a person of inferior rank without risking her reputation and inheritance. Indeed, she could risk more than that. If unsupported she could not gain employment even as a menial servant. The embankment of London, for example, was densely populated in those days with completely destitute women from all social classes. 2. The book Hermetic Astrology has a chapter devoted to ‘Outer Gateways’ formed when outer planets make a personal impact on the native. These are sometimes associated with supersensory phenomena. Some dictionaries do not include the word, ‘supersensory’, as it is not acceptable to conventional science. The Oxford dictionary gives, ‘transcending the senses; that is above or beyond what is perceptible by the senses’. It would be more accurately described, ‘beyond what is perceptible to the ordinary human senses’. Some persons, and many species of animal and bird, have extraordinary senses. The word was coined by the 19th century psychical researcher, Edmund Gurney. 3. Beethoven, by Thayer, pp. 802.